This powerful presentation inspires personal and professional excellence through courage and determination. 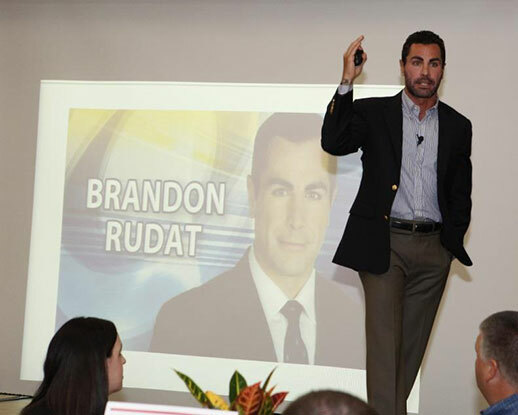 Emmy Award-winner Brandon Lee Rudat shares his life experiences and the valuable lessons he has learned about leadership. He teaches that an individual must overcome their fears, believe in themselves and find their inter-passion to be a true leader. He inspires his audience to have courage, chase big dreams and never look back. Copyright © BrandonLeeNews.com. All rights reserved.